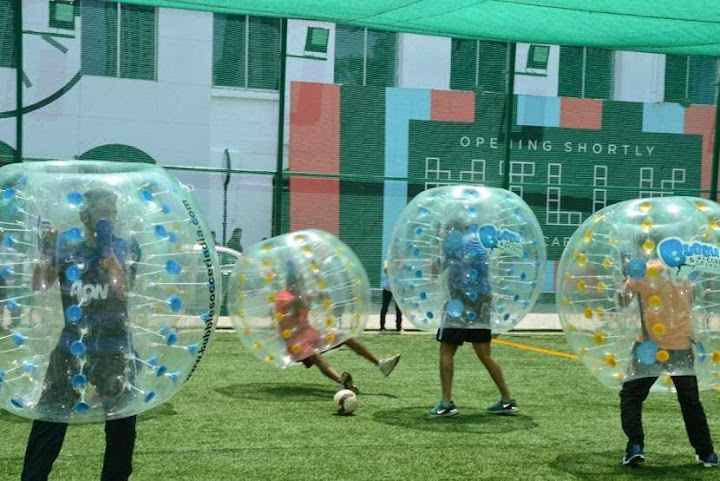 It was the players in the zorb ball on the big bold hoarding of Inorbit Mall that caught my eye.Based on the tagline of "Bounce and Roll" bubble soccer is new to India being just 3 weeks old.Bubble soccer though entirely isn't a new concept.Started in Norway around 2 years back,it is now played across 18 countries around the world.Kamlesh,who is associated with Bubble Soccer India,Mumbai says that currently we are spreading the word through Corporate events and events in in several Indian cities such as Mumbai, Bangalore, Delhi, Ahmedabad, Bhopal, Chandigarh, Chennai, Goa, Hyderabad, Indore, Jaipur, Kochi, Kolkata, Lucknow, Nasik, Nagpur, Pune, and Surat over the course of next 6-7 months.The plan is to launch the National Bubble Soccer Championship next year. 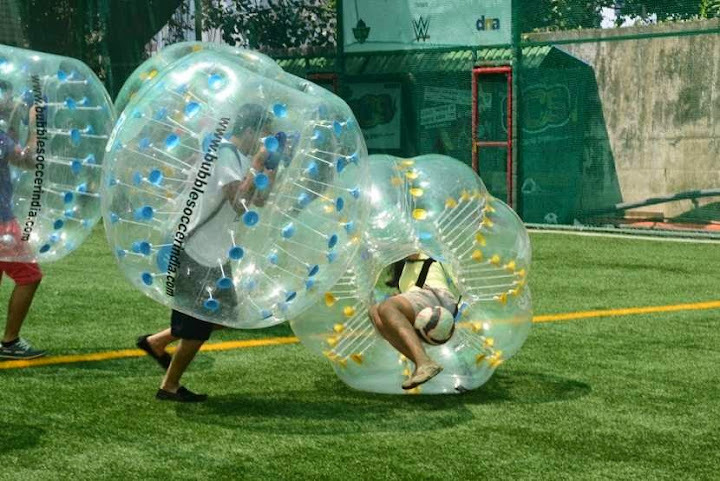 And IBFA(International Bubble Football Association) is the regulatory body of the same.The IBFA is an official association under the German association law. 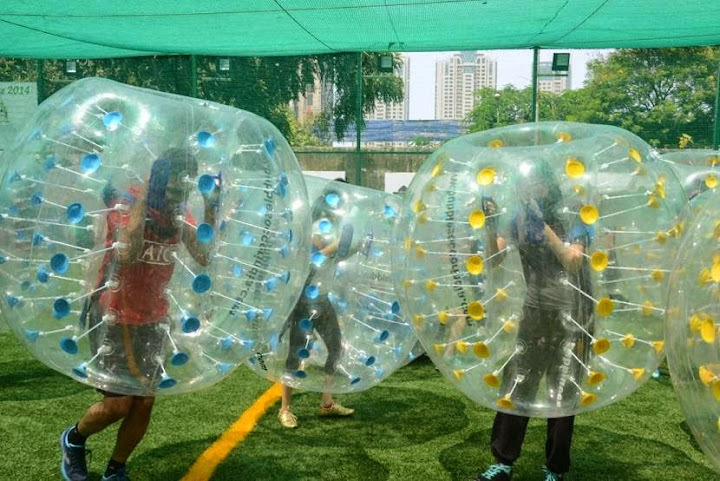 Their goal is to inform people about bubble football and bring them together.Recently Hongkong is the new member of IFBA. 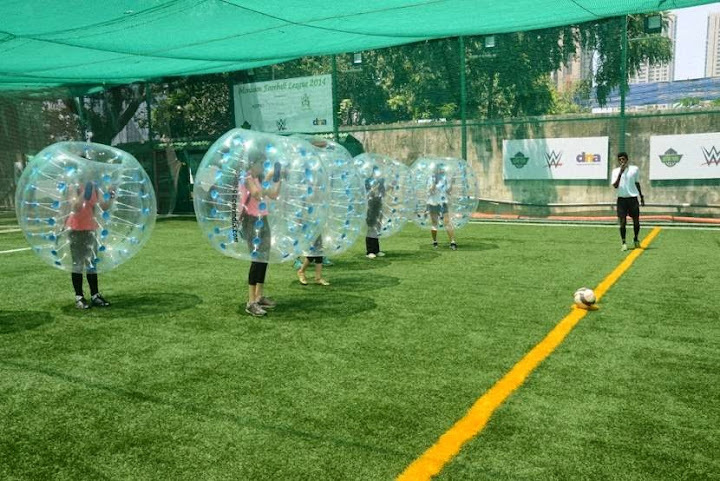 Bubble Soccer loosely follows the rules of traditional food ball where two teams compete to kick goals – without ever being allowed to touch the ball with their hands.The Difference between soccer and football in a bubble in this context Bubble Soccer and Bubble Football are one and the same.There are many advantages to this sport one being you don't get hurt when you hit the ground and its fun to watch! 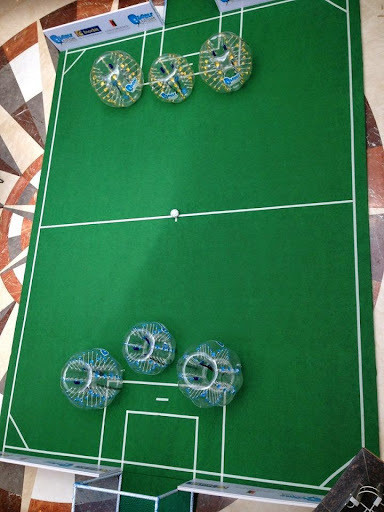 Hilarious to play yet good exercise. 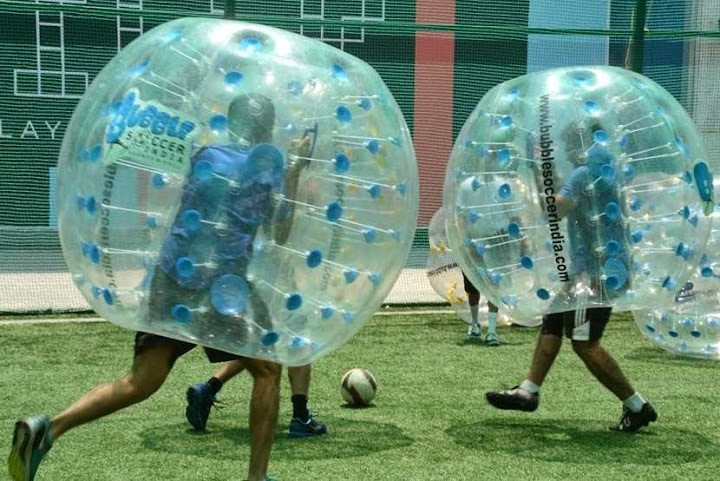 The five-a-side soccer game requires a minimum play area of 20m x 15m and can be played either indoor or outdoor. 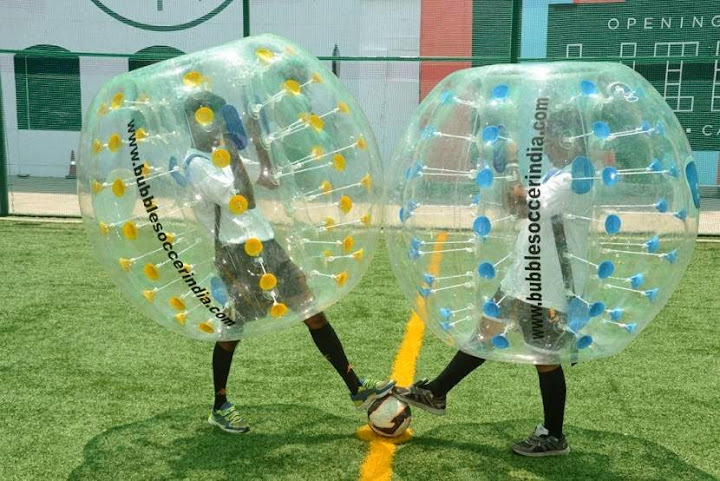 It is a 30-minute game with 5 minutes of Bubble ensconcing, 10 minutes each half and 5 minutes of break time.The wackier version of soccer is currently played in different countries of the world like Australia, Austria, Canada, Denmark, Egypt, Germany, Italy, Ireland, Lebanon, Norway, New Zealand, Netherlands, Scotland, Sweden, Spain, Poland and now in India.